Rick Rule: You survived the pain, why not hang around for the gain? Last year consumers around the world demanded record levels of gold. China led the way, becoming the world's biggest gold consumer. Meanwhile the gold price dropped, as did the value of many major and junior mining companies. Struggling Western ETF markets dragged down the yellow metal's overall performance, and total gold demand in 2013 dropped 15% compared with the previous year. 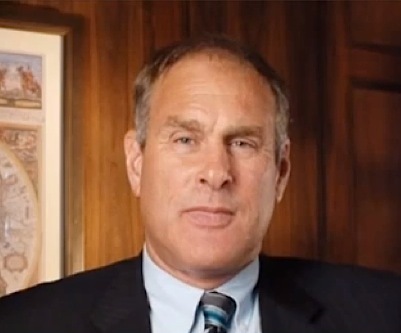 But according to Rick Rule, Chairman of Sprott Global Resource Investments, this apparent dichotomy between the two markets has begun to reconcile itself. What we're seeing today are the "classic signs of a bear market bottom," Rule told MINING.com in an interview. "Bear markets are authors of bull markets and we've been through a really severe bear market," – the "consequence" of which is a "roaring bull market." Commodities markets are notoriously cyclical and volatile, and last year was certainly a low point. "You survived the pain, why not hang around for the gain," said Rule. But that likely won't start for 18 to 24 months. In the meantime, a few things might happen. According to Rule, junior miners need to stop trying to survive and instead focus on raising money to advance projects. "Forget about the perception dilution," Rule said. A healthier market will emerge when we see issuer capitulation: Rather than "canniabalizing" what capital they have left, junior miners should look for financing and start answering questions about their projects. For that reason Rule sees GoldCorp's recent hostile takeover bid of Osisko as a "very positive sign for the industry." But the sector suffers other ailments as well. According to Rule, the metals junior market is "seriously overlisted." There are too many companies with non-viable projects fighting for capital. When capital markets are dry, a lot of these companies hunker down, try to survive, and end up wasting what little money they do have on administrative expenses. When asked if the industry had learned anything from recent struggles, Rule said it doesn't look like it. "The belt tightening that people have talked about seems to be more rhetorical than actual," he said. A couple years ago, Rule and his team pulled a statistical sample of 75 TSX-V-listed companies at random. To his "horror," as he describes it, they found that the average general and administrative expenditures among these miners "handily exceeded 50% of capital raised."